On the evening of Wednesday 3 October we’re holding our first ever event for students and graduates in the Irish capital. 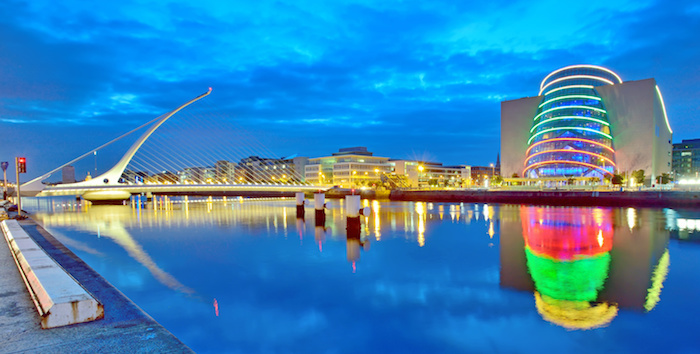 The free session at the Law Society of Ireland will feature speakers from global law firms Pinsent Masons, Dechert and Matheson, and international bar qualification provider Barbri. During a Question Time-style panel discussion, chaired by a Legal Cheek journalist, the lawyers will share their views on the rise of Dublin as a legal centre and explain why their firms are keen to expand in the Irish capital. They will consider in particular the opportunities arising over the next five years for those commencing their career in Ireland. After the discussion, which runs from 6pm to 7:15pm, there will be drinks and networking with the speakers and trainees from their firms, alongside members of their graduate recruitment teams. Apply to attend. You’ll be asked to submit a CV and two questions for the panel. We all know they pay well, but what else do they offer?